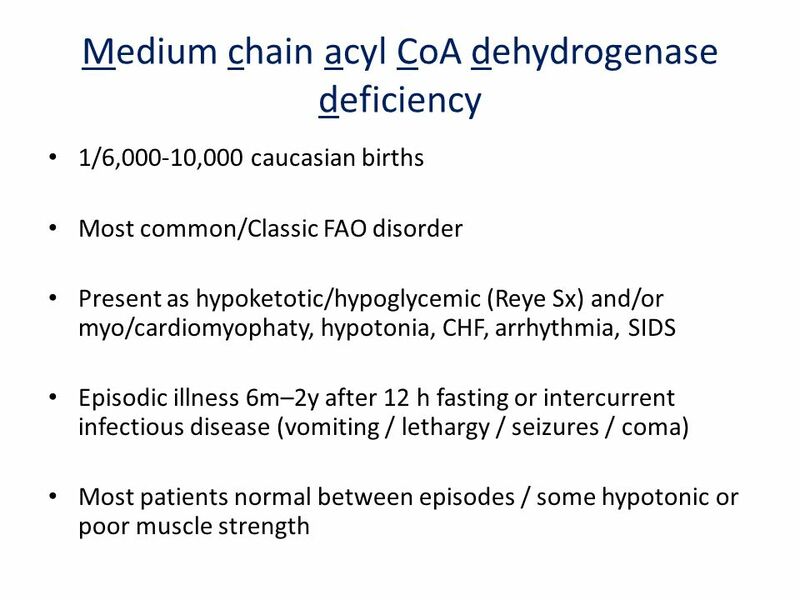 Medium chain acyl CoA dehydrogenase deficiencyMCADD June 28, 2011 APHL-CDC Carlos A. Saavedra-Matiz, MD Newborn Screening Program Wadsworth Center New. 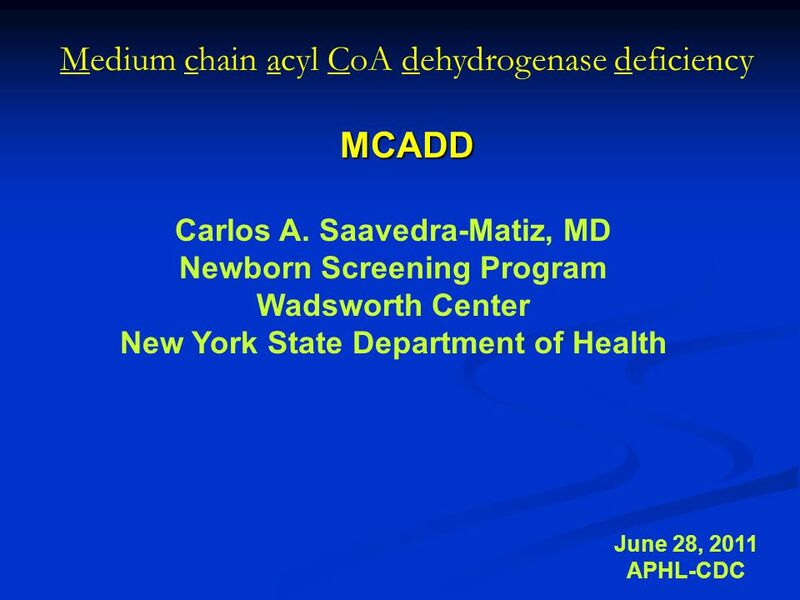 Download ppt "Medium chain acyl CoA dehydrogenase deficiencyMCADD June 28, 2011 APHL-CDC Carlos A. Saavedra-Matiz, MD Newborn Screening Program Wadsworth Center New." 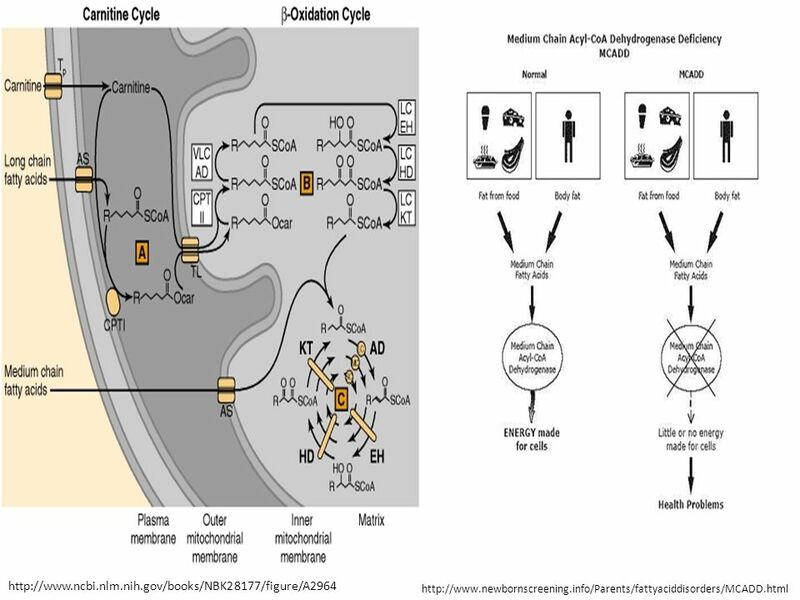 Alterations in Metabolic Status Jan Bazner-Chandler RN, MSN, CNS, CPNP. 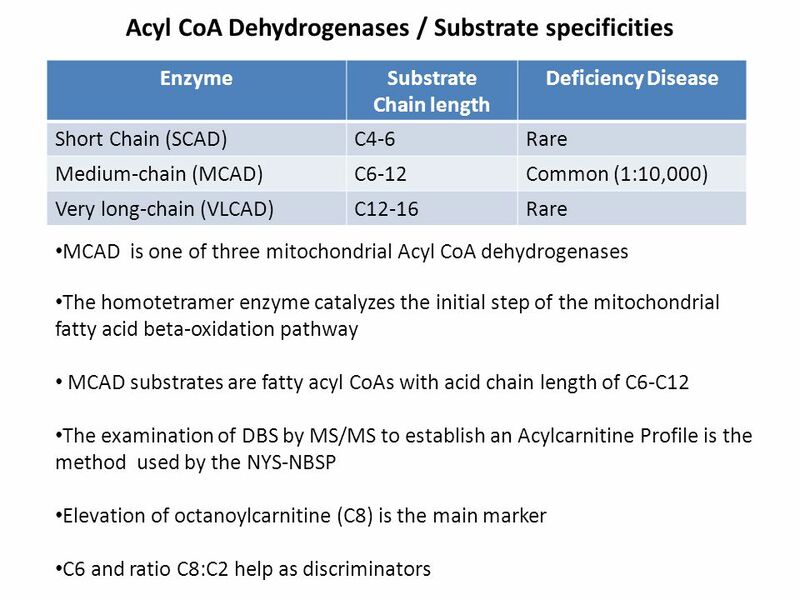 1 Chapter 43 Inborn Metabolic Defects of Lysosomes, Peroxisomes, Carbohydrates, Fatty Acids and Mitochondria Copyright © 2012, American Society for Neurochemistry. The Clinic for Special Children Where compassion, care, and bioinformatics result in cutting edge translational medicine. Bio-organic molecules 1. carbohydrates 2. proteins 3. lipids 4. nucleic acids. Carol Greene, MD U of Maryland School of Medicine. 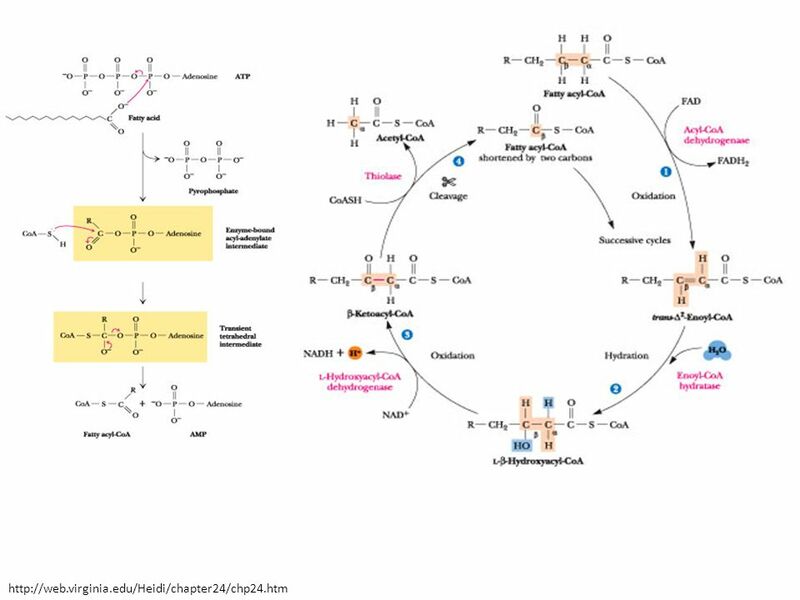 Glycolysis: The Central Pathway of Glucose Degradation NUTR 543 Advanced Nutritional Biochemistry Dr. David L. Gee Central Washington University. 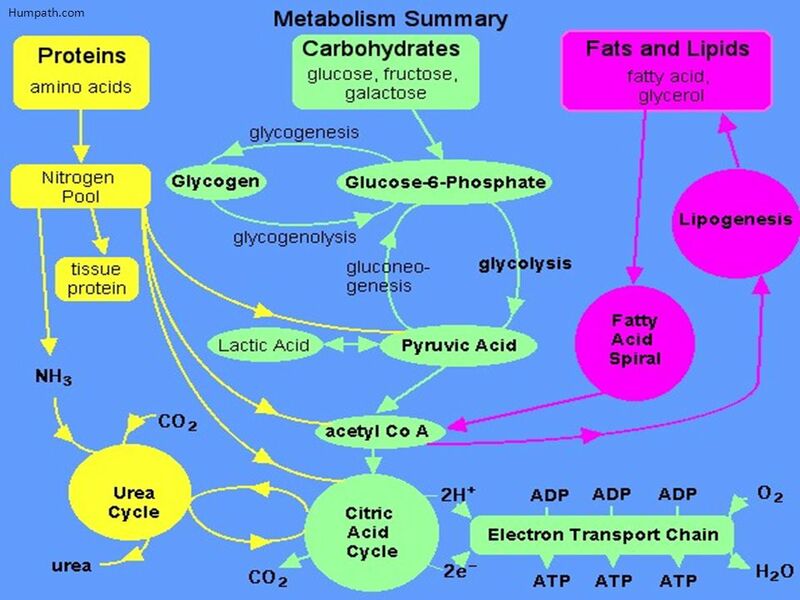 Lipids Metabolism. 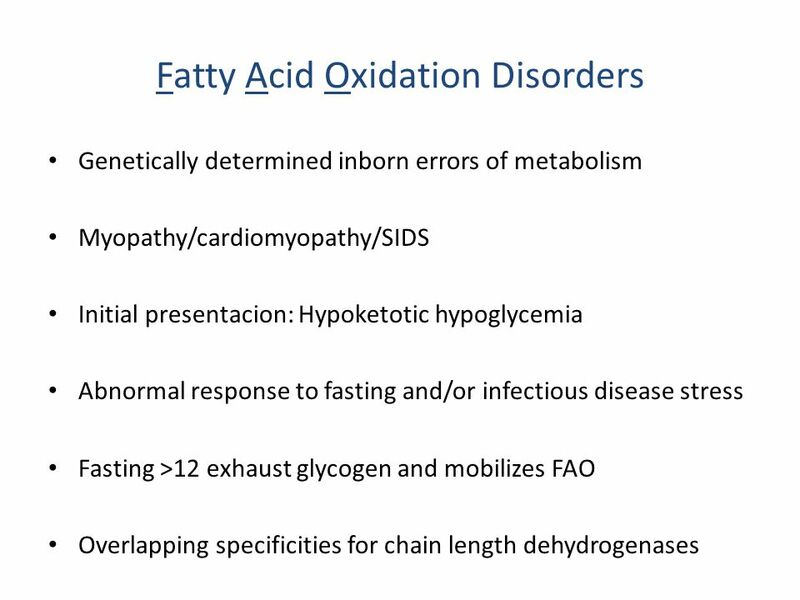 Fatty acids TAG Complete oxidation of fatty acids to CO2 & H2O: 9 Kcal/gram of fat Fatty acids: are stored in adipose tissue, in the. 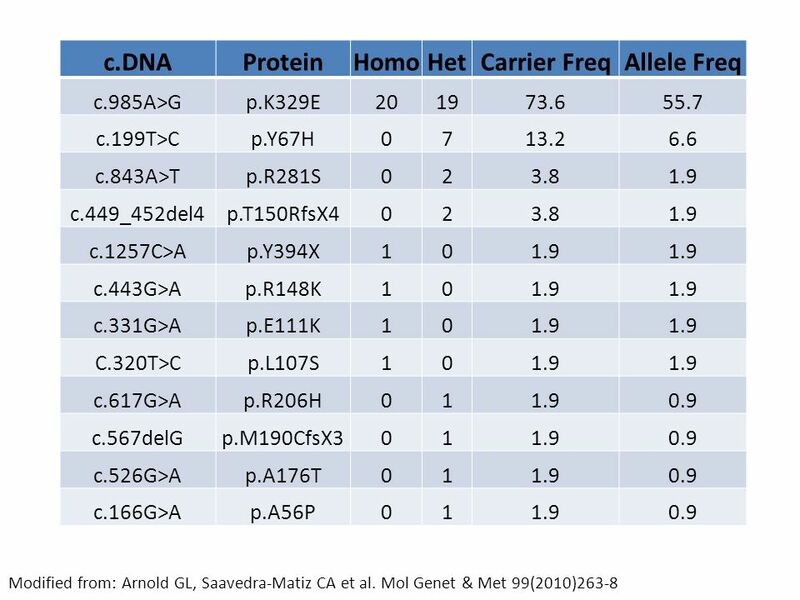 Approach to Inborn Error of Metabolism in a Neonate Filomena Hazel R. Villa, MD PL2. 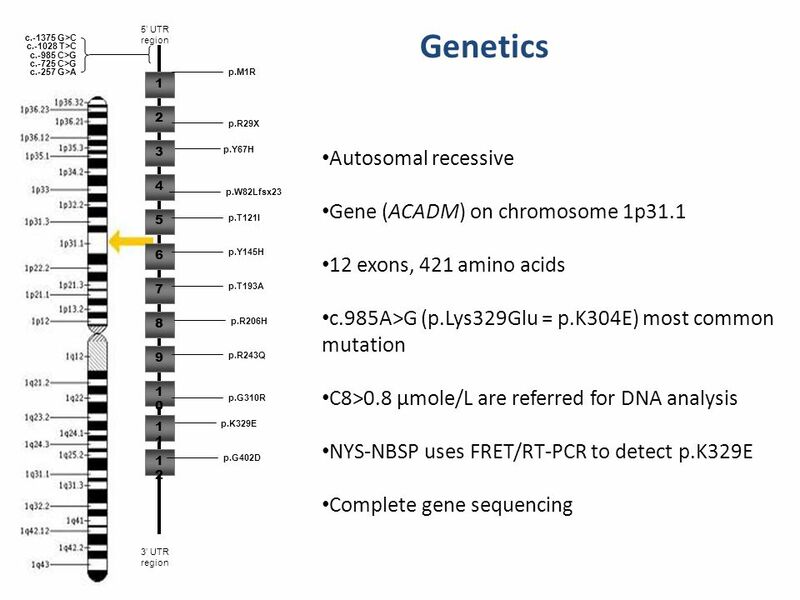 Chapter 11 Newborn Screening. Introduction Newborns can be screened for an increasing variety of conditions on the principle that early detection can. 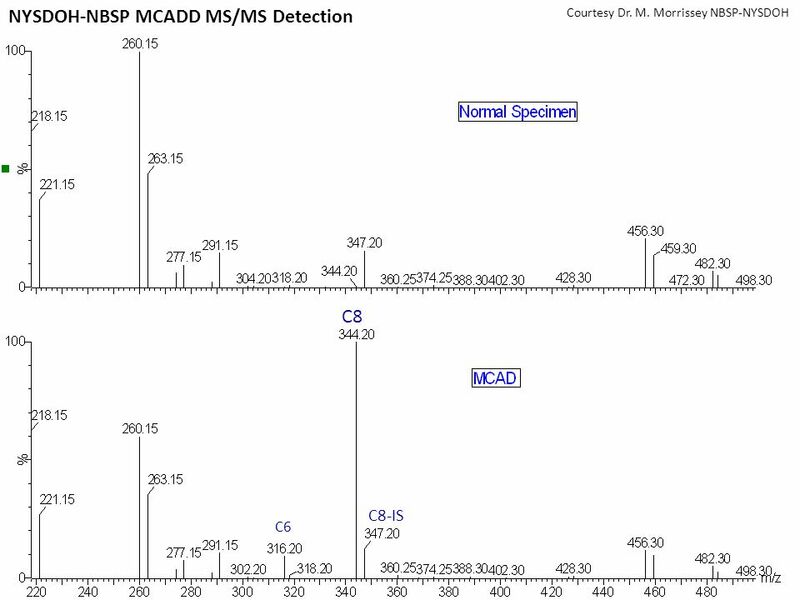 ANNE LEHMAN 8/29/13 MAPLE SYRUP URINE DISEASE. 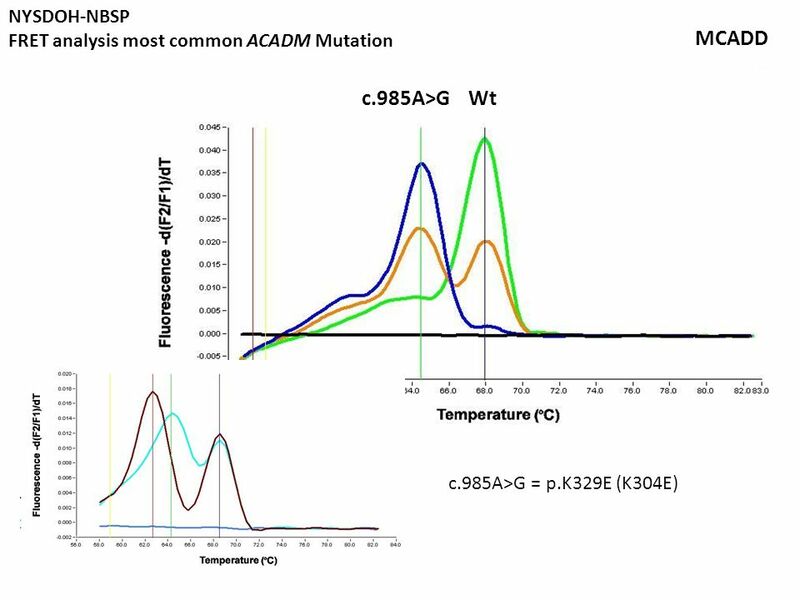 BACKGROUND Autosomal recessive metabolic disorder Mutation in genes encoding Branched-chain α- ketoacid.